Do you know that whenever you buy or order anything online, you can enter in a promo code to get a large discount? Yep, most people probably already know this and use promo codes all the time. By doing a simple 30 second Google search for “promo code for X” (X being the online store you want to shop at) there will always be websites that have updated and fresh usable promo codes. Using this method can literally save you hundreds of dollars and usually get you free shipping too. You can take full advantage of these promo codes as many offer a certain percentage off the ENTIRE order, meaning the more you order, the more you will save. We did a test and ordered 7 t-shirts from Old Navy. 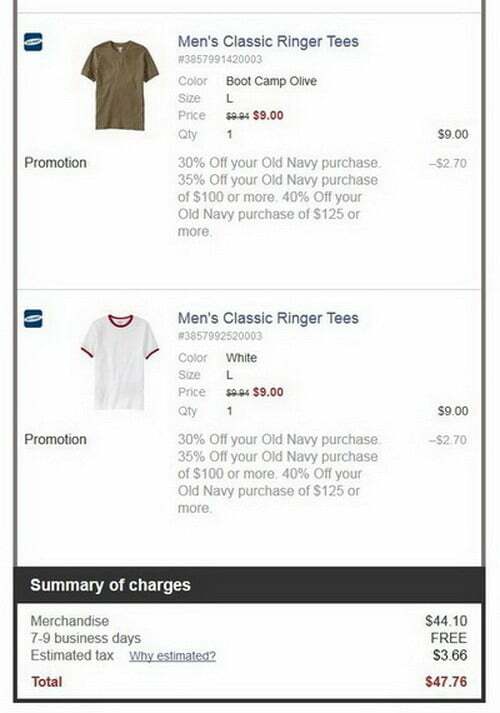 Once we were at the checkout page, we opened a new browser window and Google searched for “Promo Code For Old Navy”. 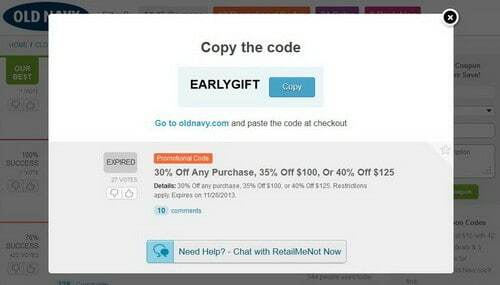 We found a promo code within 5 seconds, copied and then pasted it into the Promo Code box on the Old Navy checkout page. We INSTANTLY saved 30% which was about $20 dollars off our order! And all for doing about 30 seconds of work! The cool thing is, you can do this with ANY website when you are buying something online, especially clothing! Ordering Pizza Hut online? No problem, there are tons of Pizza Hut Promo Codes all over the internet. There are a legions of websites that update their content with fresh and usable promo codes for clothes, products, food, groceries, movies, and services. Some of the greatest sites for instant coupon and promo codes are Retail Me Not, Promo Codes, Coupons, Ebates, Current Codes, Coupon Dad, and more. 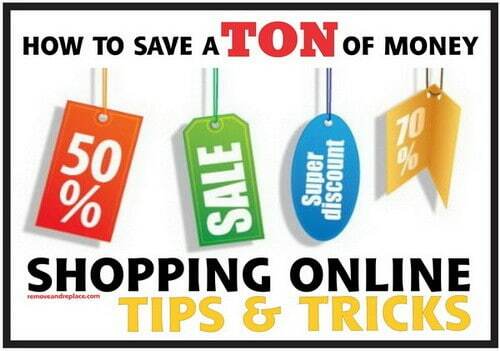 Most of these sites have printable coupons you can physically take into a store and save money that way also. Next post: How To Dry Out A Wet Cell Phone – Dropped In The Toilet & Won’t Turn On?